The Dragon Dream Team is Ohio’s first group of breast cancer survivors participating in the team paddling sport of dragon boating. We are women of all ages and backgrounds, from newly diagnosed to long-time survivors. Our mission is to support and care for each other and send an important message of hope. 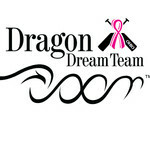 The Dragon Dream Team welcomes any breast cancer survivor in Ohio to join the team. The Dragon Dream Team is Ohio’s first group of breast cancer survivors participating in the team paddling sport of dragon boating. We are women of all ages and backgrounds, from newly diagnosed to long-time survivors. T​his is our 3rd annual festival held at Portage Lakes State Park, Saturday, July 11th. Proceeds from the festival go to the Dragon Dream Team's Boat Loads of Hope community outreach program for local breast cancer patients.